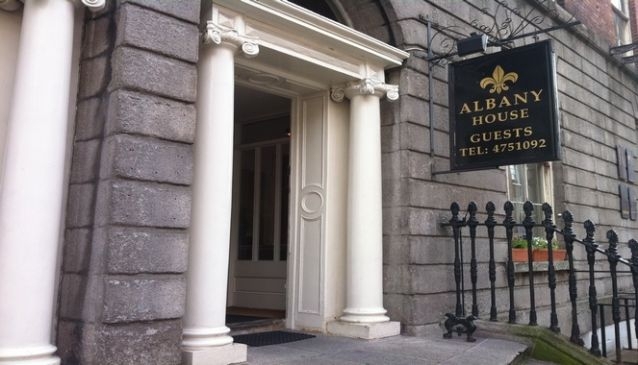 Albany House is a premium 3-star guest house, conveniently located on Harcourt Street a short distance from St Stephen's Green and Grafton Street. You'll also have a wide selection of restaurants, bars and nightclubs to choose from both up the street and around the corner. An historic building in the heart of Georgian Dublin, Albany House is a perfect base of operations for exploring on foot - alternatively, the LUAS runs right outside the door, with two stations (at St Stephen's Green and Harcourt Street) nearby. This elegant building boasts many of the original period features from the late 18th century. Although Albany House does not have an elevator, they offer all the amenities you would expect from a modern 3-star city centre guest house including free Wi-Fi throughout. An extensive continental breakfast is available every morning, and is included in all room rates.